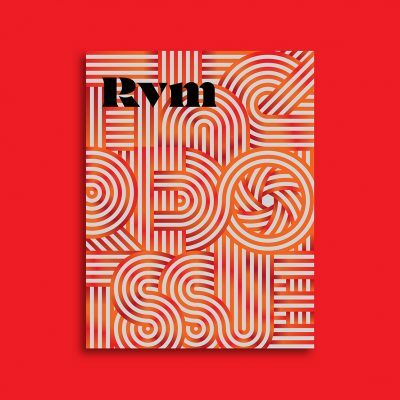 RVM magazine no. 1, the ‘Red’ issue contains an essay on the colour red in the Kodachrome photography of Fred Herzog, Tod Papageorge and Harry Gruyaert. Text in English and Italian. Kodachrome, the famous colour positive transparency film, was introduced by Kodak in 1935. It was aimed at the growing amateur market and the home slide show, which may account for why it has a misleading reputation for crude and garish colour. In fact, Kodachrome was remarkably subtle, fine-grained and tonally rich. It could record the delicate colours of fabric and skin, the full palette of twentieth century consumerism, bright glossy paintwork as it weathered into muted hues, the subtleties of wood and stone, and the many qualities of atmosphere and light. The projection of Kodachrome transparencies onto a screen as pure light allowed still photographers to see images as glorious as those to be seen in the cinema. However, for most of the twentieth century the printing of colour photography, both in the darkroom and on the pages of magazines and books, was difficult and unsatisfactory. So much of the nuance was lost. The standard technique for making a print from positive transparency film was the Cibachrome process but it suffered from high contrast and oversaturation, with little means of controlling the outcome. Even printing from negative film gave frustrating results. Only the expensive and time-consuming dye transfer process could come close. As the the home slide show fell out of fashion and electronic imaging became dominant, the production of Kodachrome eventually ceased in 2009. But, the technologies that killed Kodachrome have also allowed us to see what had been shot on that film as never before. Digital scanning and contemporary inkjet printing have given those images a new life. Indeed major bodies of work by several truly exceptional photographers can now be seen as they were intended. Between the late 1940s and the late 1990s the German Fred Herzog shot two rolls of Kodachrome a week in his adopted city of Vancouver, on Canada’s west coast. That’s over 100,000 exposures. Herzog was serious about the descriptive and artisitic possibilities of colour photography. Unhappy with the prints he could make, he rarely exhbited his work. Today new audiences are discovering the appearance of Vancouver, a major cosmopolitan city, as it changed over several decades. Moreover, Herzog is being seen as an innovative forerunner of the generation of North American and European street photographers that began to shoot in colour in the 1960s and 70s. One of those younger photographers was Tod Papageorge, who started to shoot Kodachrome when he came to New York in 1966. Initially he had hoped his images might land him some commercial assignments. That never happened, but Papageorge did discover that photography was the medium for him. He was often out on the streets with his new friend, the hyper-kinetic Garry Winogrand. Together they would shoot in black and white, but at the end of those days, Papageorge would load his camera with Kodachrome and walk home, at a slower pace. Kodachrome was not very sensitive to light and thus required relatively slow shutter speeds and a steady hand. Papageorge photographed shop windows (a perfectly static subject) along with pensive groups of people on the street. The mood of his pictures reflects the uncertain mood of a country embroiled in a war in Vietnam, drifting far from the ideals of the early 1960s. Papageorge soon turned to the black and white photography for which he is much better known, but this early colour work shows a young photographer attuned with great intelligence to the world around him and how it might be depicted in colour. The Belgian Harry Gruyeart began shooting Kodachrome around 1962 and used it right through to 2009. For many years he was a “photographer’s photographer”, appreciated by dedicated fans of the formal possibilities of colour. Like Herzog and Papapgeorge, Gruyaert has embraced the new technologies that can make the most of what he shot. The contemporary prints of his Kodachrome transparancies are among the most sumptuous and breathtaking being made today. Recently he has returned to older projects, excited by the prospect of finally being able presenting them as he had once hoped. His new book East/West brings together images shot in Las Vegas and Los Angeles in 1982 with pictures made in Moscow in 1989. Here we see Gruyaert responding with great sensitivity to the cultural values given to colour in those very different societies. Next year there will be a full retropsective of Gruyaert’s work at FoMu Antwerp. For RVM I have chosen images by Herzog, Papageorge Harry Gruyaert that show the richness of their work. They also show the distinct qualities of the Kodachrome film they were using. You can see both in their attitudes to the colour red.